Time and Date when off. 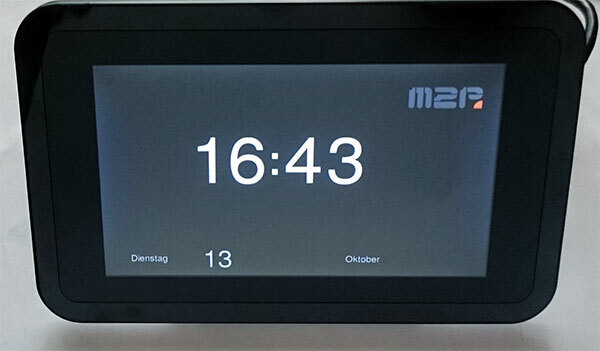 Max2Play > Topics > clock, date, power off, time > Time and Date when off. Max2Play Home 2016 (en) › Forums › Max2Play Development (Ideas, Wishes) › Time and Date when off. This topic contains 38 replies, has 8 voices, and was last updated by Heiner Moderator 5 months, 3 weeks ago. Looks like can’t turn the screen off when you turn off the Max2Play. It’s black but still light up in black. Can you add the time and Date like how they have it on the Squeezebox radio when it’s off can set up to 5 clock types. I guess this is in the code of Max2play? Not sure how you would add it, if can. This feature is in Jivelite, whose properties we have not changed. It would be a lot of work for us to incorporate this feature. We are researching on it, but we cannot guarantee to offer it in the near future. great news! We added your requested feature to Jivelite. Both an analog and a digital clock are now available in the screensaver menu after updating Max2Play to the beta channel. Super! It worked. I updated it last night to Beta but could not get it to do the clock, and then in the morning today checked my e-mail and went here and it looked super. Did a „Update2Beta Max2Play“ and it worked. I could go in the screen saver and pick what clock to use when it’s off. I guess the only other thing is what size the clock or fount I guess you say would be. It’s looks a little small on the big 7 inch screen. I got this photo of mine. Thank you so much. Only doing the Beta on one of mine. How hard would it be now to get it to work on the small 2.8 inch touch screen now? I would of thought it would just work scale it to the screen. I just updated my other 7 inch touchscreen one it has the HiFiBerry on it. It’s updated to Version Beta-151014 and I rebooted it and still no clock setting on it. But it works on my other one that don’t have the HiFiBerry. Is something wrong because it don’t work on the HiFiBerry one? I got it working on my HiFiBerry. Had to update the Jivalite (Jivelite start installation) I clicked, and then reboot and now it has the clock on it too. 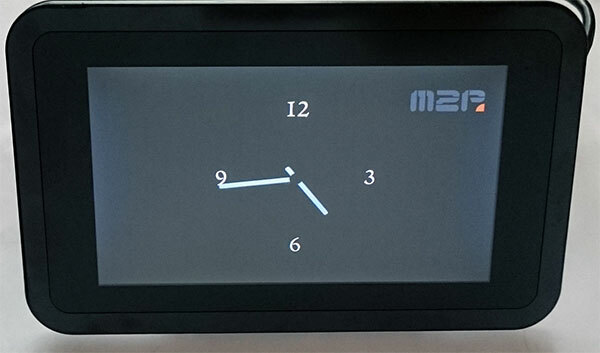 we have not tested the clock screensavers with the 2,8 inch display so far, but it should work with it, too. Ironically, we guess there is a risk of a screen burn-in with the 2,8 inch display, so be careful when testing on your own. Glad you got your second device working. I had to update Java and reboot the 2.8 inch display. The clock does work on it. But only see the top left corner of it. It cuts it off. So it does work but just have to fix it a little for 2.8 inch display’s. Was thinking it be nice if could put a light sensor on the GPIO pins to dim it down as the light in the room goes down. That’s what the squeezebox radio does. It does seem bright at night time. I will turn it off on the 2.8 inch display. I guess like you said it can burn it in. gibt es schon eine Lösung für das 2,8″ Adafruit-Display um die Uhr anzuzeigen? Das wäre wirklich eine ganz tolle und praktische Sache. Leider können wir dir diese Feature nicht für den 2,8″ Display anbieten, da es Berichte von Einbrennproblemen bei diesen Displays gab und wir deshalb immer einen schwarzen Bildschirm für diese Screens empfehlen. 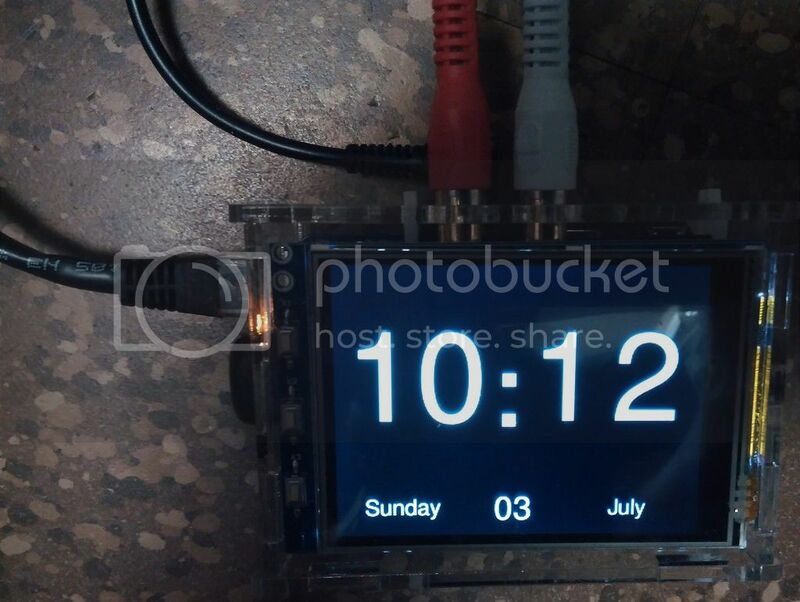 Still can’t get the clock to work on the C1 3.2inch TFT+Touchscreen Shield with my Odroid C1+ and HiFi Shield. Did you test with this setup? 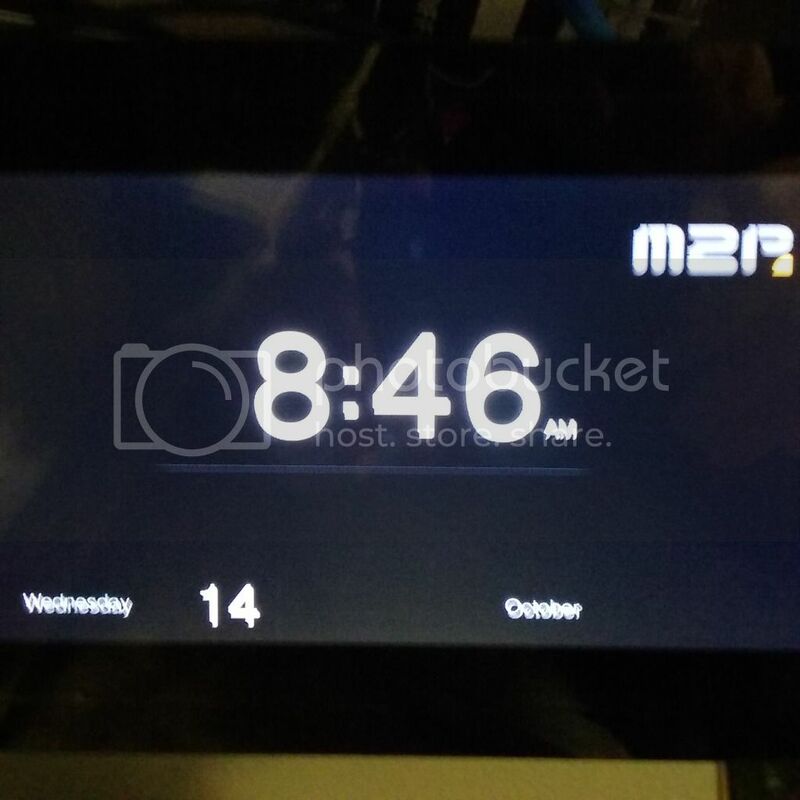 I made a beta upgrade of my M2P in order to have a big clock on my 3.2″ touchscreen (Card C1). Unfortunately, i didn’t find this screensaver. What is is name ? This reply was modified 2 years, 11 months ago by Bristow. It’s „Settings, Screen, Then Screen savers. I don’t think the clock works on the 3.2″ I my be wrong on that. Argh, i have upgraded on beta only for that. Do we need to re-install Jivelite after upgrade on beta ? Maximilian, which files i have to modify on Jivelite in order to make a numeric clock ScreenSaver for 3.2inch TFT for Odroid C1 ? Try to have a look at how we changed the Digigtal Clock positioning for the Joggler Skin. We would be happy, if you share your results. You may create a patch of the changes that we can add to Jivelite. Thanks Stefan for you post. I don’t know Lua so, just a question, what do i have to do just after having modify ClockApplet.lua file in order to test my change ? Restart lua, jivelite, nothing ? So the photo you have looks like it’s on a little 3.5 inch touch screen right? Looks very good! Were do you put this code in what folder? Then it will just work? I never got the clock to work on my small screen. Named „getDigitalClockSkin“ I don’t know if it’s the right place. This reply was modified 2 years, 9 months ago by Raymond Day. You have to choose QVGATouchSkin for skin and change and replace function Digital:getDigitalClockSkin() by my code. This function is in this file /opt/jivelite/jivelite/share/jive/applets/Clock/ClockApplet.lua. After changes, you have to restart Jivelite. Wow it works! I all ready had the QVGATouchSkin picked. On the http webpage of max2play I restarted Java and quit a song playing. When it went to sleep mode in like 30 sec. I seen the clock! First time I seen it on the small screen! They should add your code to the Update Max2Play under Settings / Reboot for this. Looks like it’s working good. But I don’t see the little lines around the date part like in your photo. This reply was modified 2 years, 9 months ago by Bristow. Just checked and I have all the files you listed here all ready. It works just be a little nicer with lines around the Date part. thanks for sharing your code! I changed it a little to keep the JogglerSkin working and added the changes to the Jivelite installer in Max2Play. If anyone is interested: update Max2Play to the latest Beta version and install Jivelite from Source (not the compiled version). Good news, i knew that code was very dirty 🙂 Thanks ! Installed the „Beta version and install Jivelite from Source (not the compiled version)“ rebooted too but when it goes to sleep mode now just a blank screen. So looks like I have to edit the /opt/jivelite/jivelite/share/jive/applets/Clock/ClockApplet.lua file again. But now it don’t start the clock! I even rebooted it. I guess the Beta version the clock don’t work with now. Do I have to install fresh again to uninstall the Beta version to get the clock working again? did you choose the Digital Clock Screensaver in the Settings for the „When Off“ setting (sounds like you have set Blankscreensaver in the „When Off“ event)?